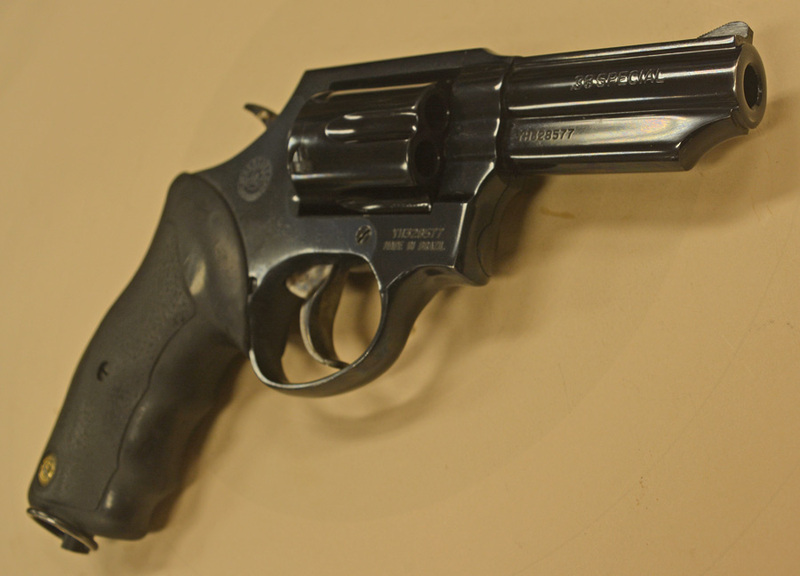 A couple of weeks ago I acquired a large shipment of surplus Taurus 82 revolvers, and since they were so cheap, I kept a few for myself to experiment. 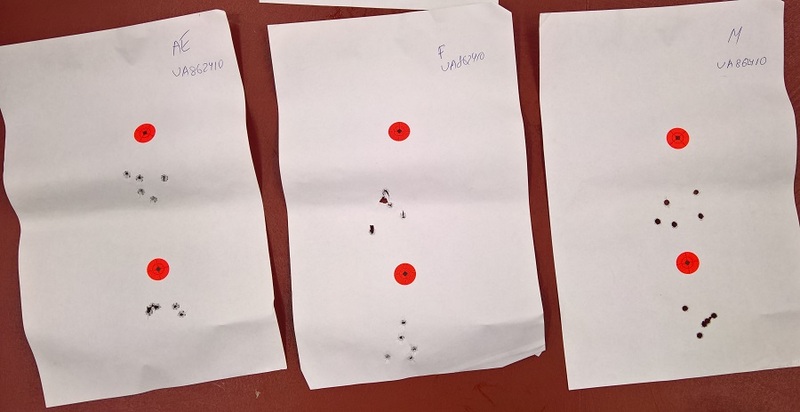 The first time I took them to the range, I shot them at 25 yards and discovered that (a) ammunition mattered a lot for point of impact and groups sizes, and (b) in almost all cases the point of impact was off - differently so for different ammunition brands. 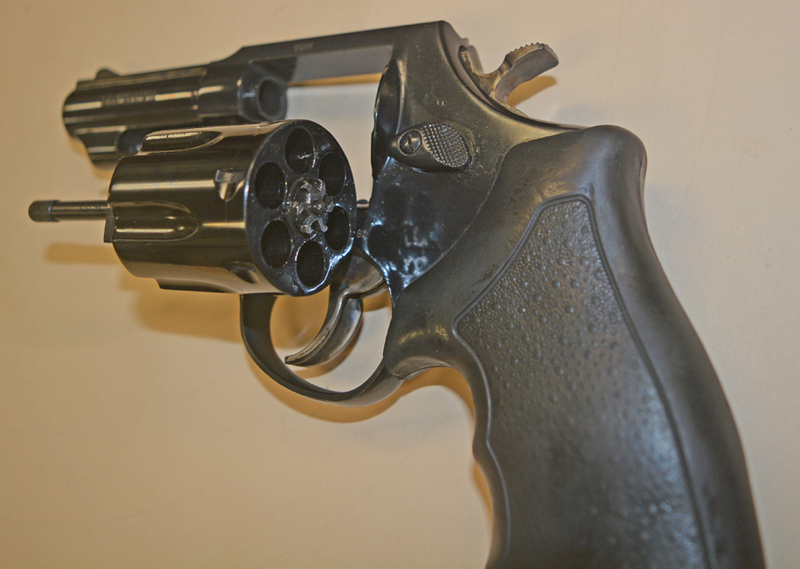 So this time I wanted to shoot my own reloads - which tend to be quite a bit more accurate than inexpensive factory ammunition - and compare it to a Smith & Wesson revolver. 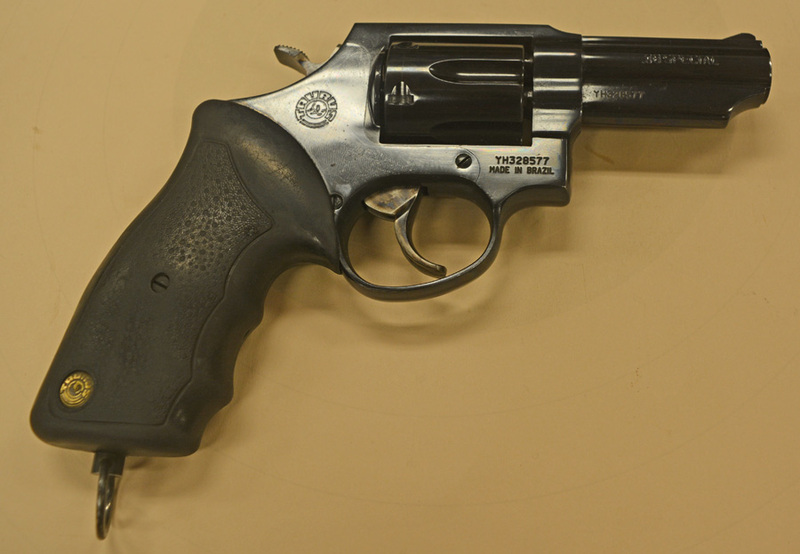 The gun had super-nice trigger - indistringuishable from Smith & Wesson - which clocked at 3.5lb. 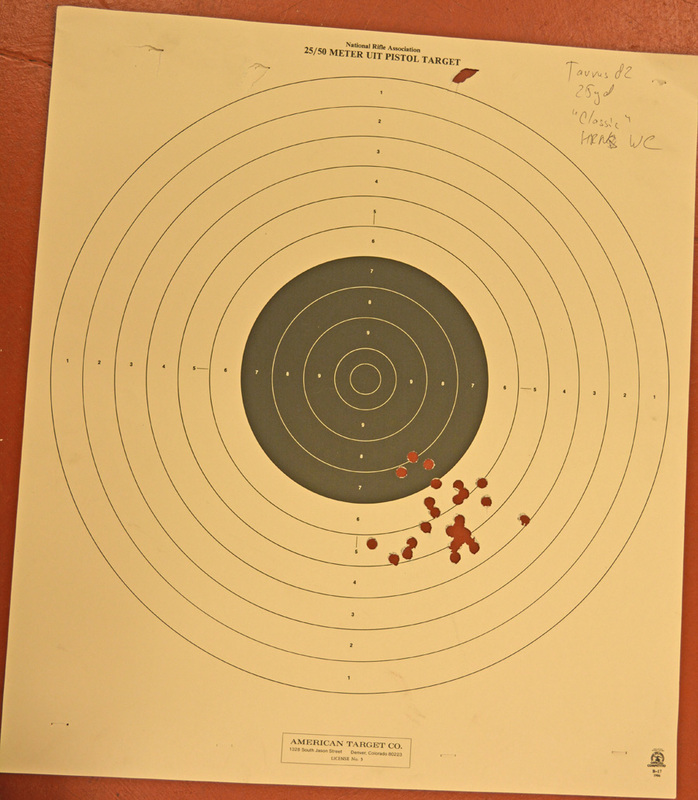 ...followed by 25 rounds of Xtreme 148 grain copper plated flat point bullets over the same 2.8 grains of Bullseye. 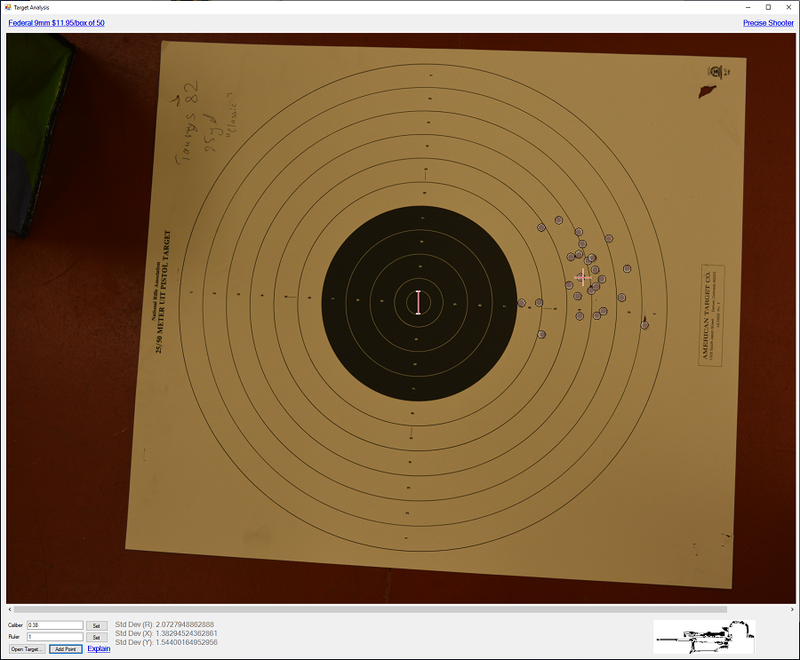 You would think that the second group is a lot worse than the first one, but this is where the target analyzer actually helps - the standard deviation of WC bullets is 1.75, whereas the standard deviation of FP bullets is 2.07 - a difference of only 0.3. 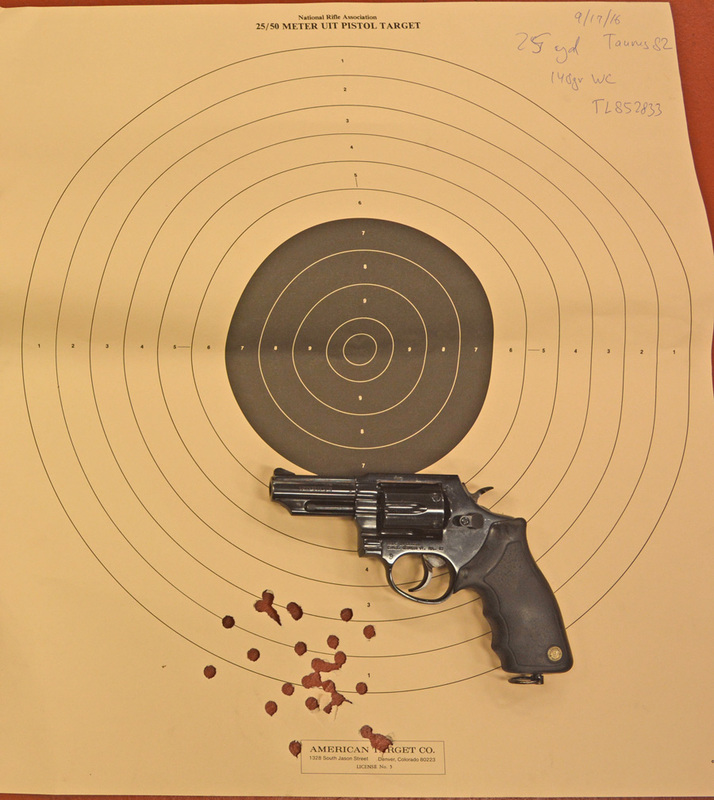 In practical terms this means that 95% of the shots will be less than 4" off target at 25 yards - within the confines of the black area on the standard pistol target. That is, if the point of impact were correct. Unfortunately, point of impact was not correct. 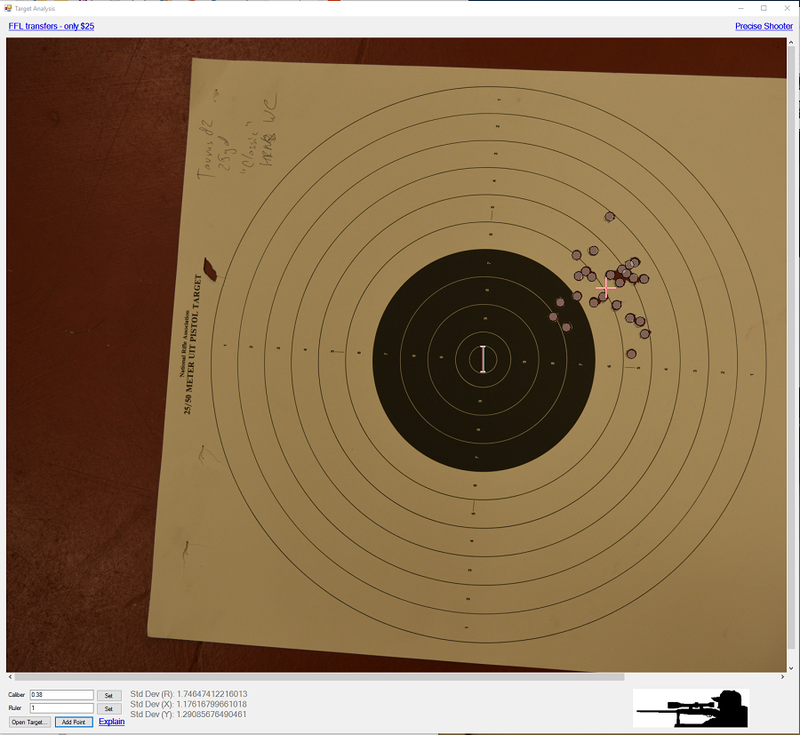 It was appreciably different, in fact, - the flatpoint bullets were 2.5" low, but only 1.5" to the right (the point of aim was six o'clock - the bottom of the black area). 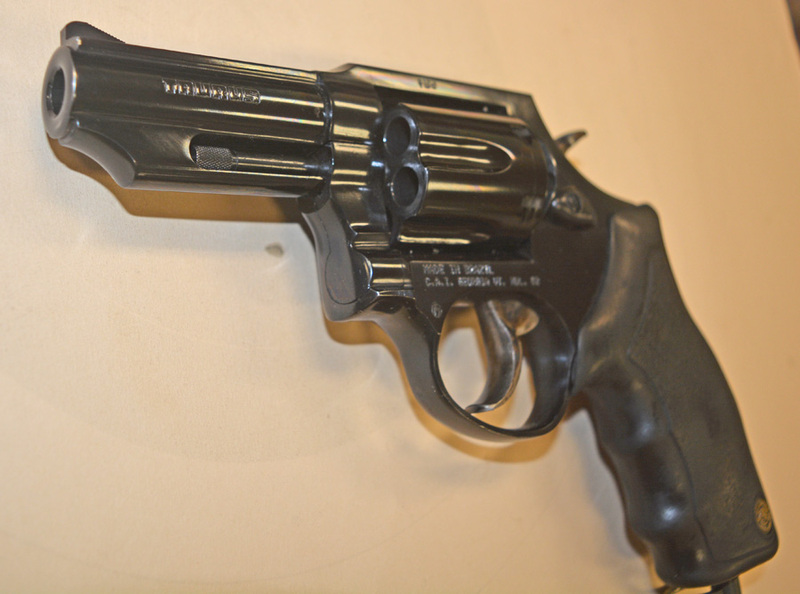 This could be corrected by manipulating the front sight. The wadcutters however were almost dead even vertically, but unfortunately good 3" to the right. The only way to correct this would be by filing the sight channel - something I am obviously not very enthusiastic about. 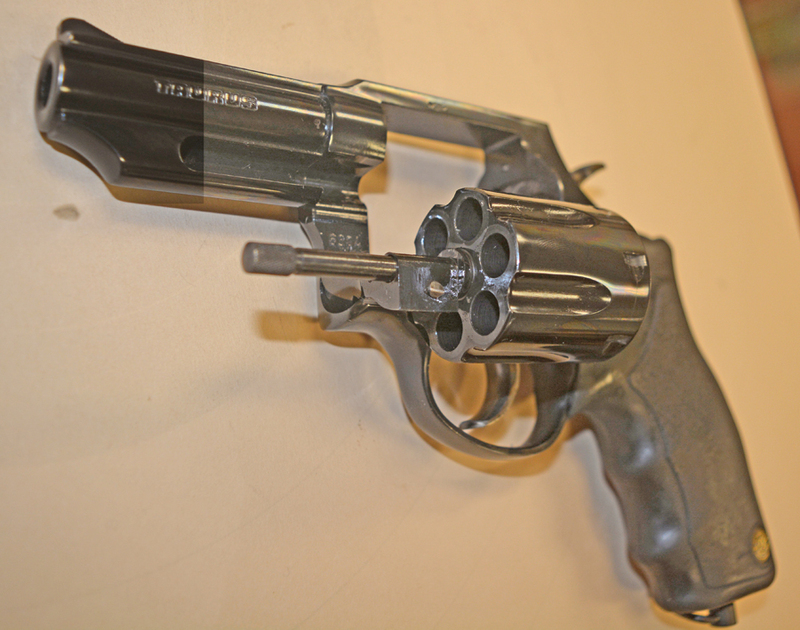 The next two guns were also randomly pulled out of the heap. 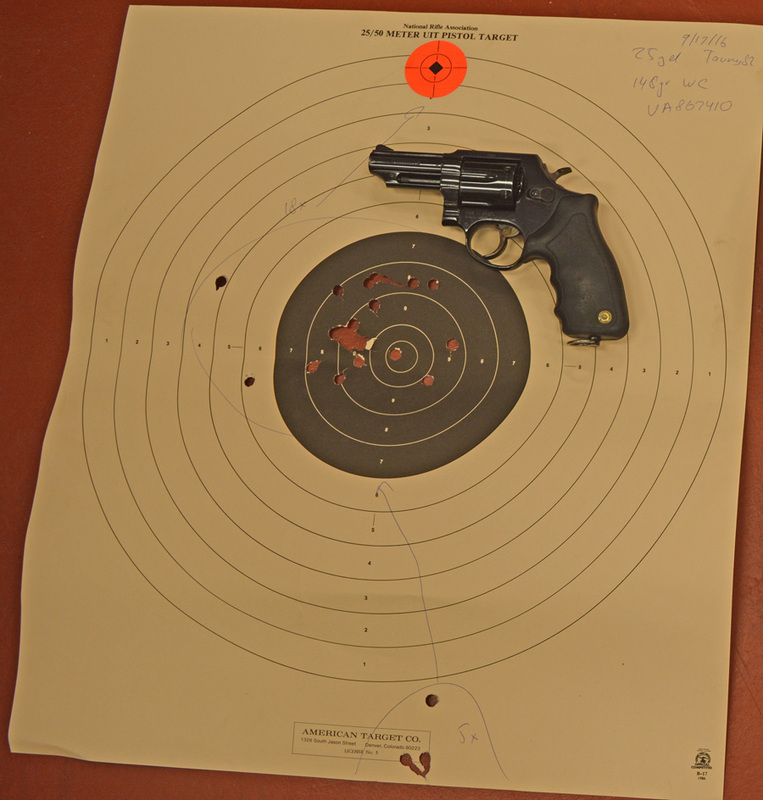 At this point I ran out of Hornady wadcutter reloads, and switched to X-treme bullets wadcutters, same weight. 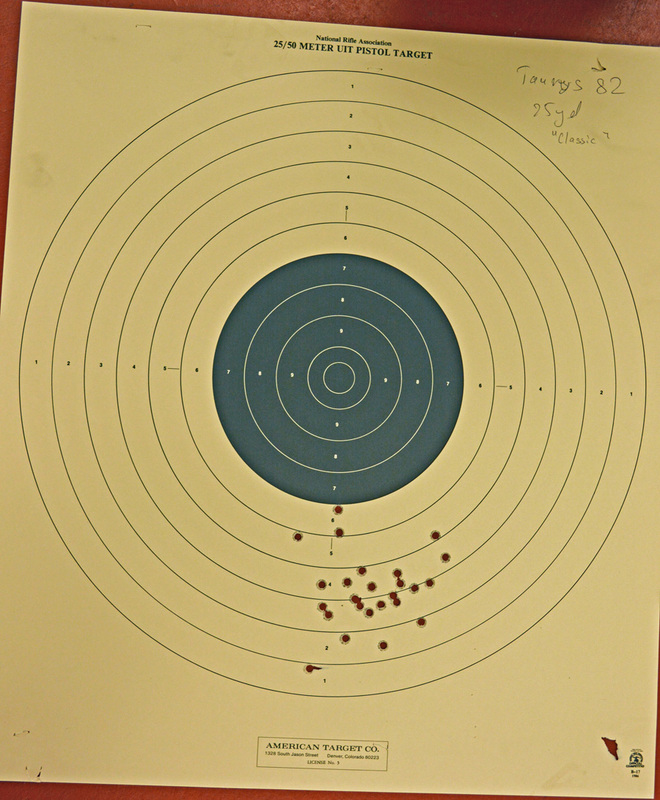 As you will see, the groups were wider this time - I attribute this to different bullets and slightly less ideal visibility at the range. Target analysis produced standard deviation of 2.43. The standard deviation was 2.31, essentially the same. 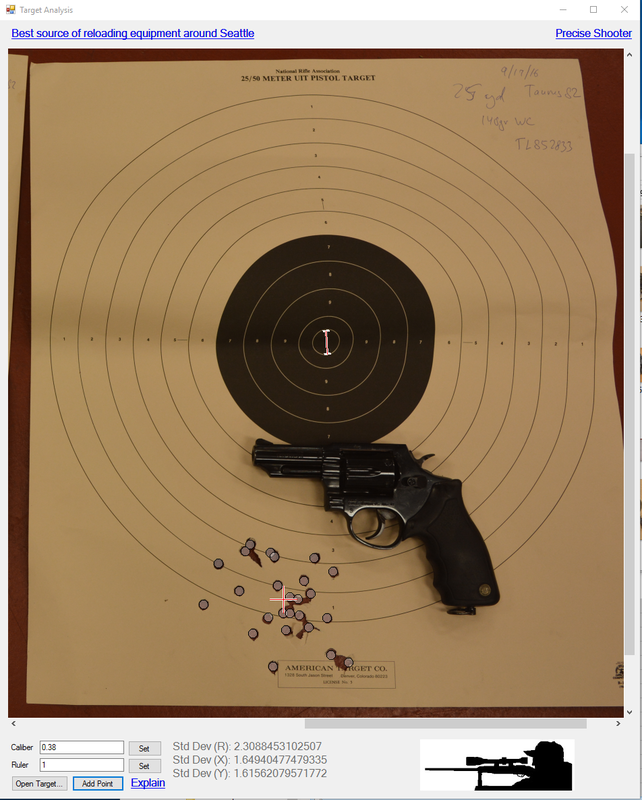 It was getting pretty dark, but I still shot 11 rounds of Federal HST loads, which were +P - five from one gun, six from the other. 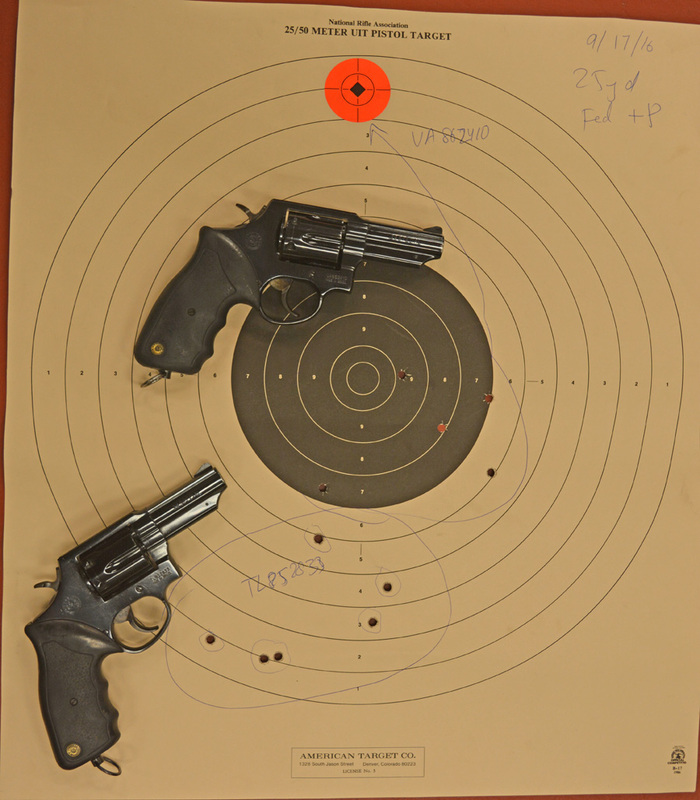 As you can see, the +P did not address the point of impact problem - it was 3.5" below point of aim (six o'clock on the black bullseye) for one gun, and a whopping 10" below POA (six o'clock on the orange) for the other one. It looks like filing down the front sight is inevitable. I will post the results when this is done. Stay tuned! 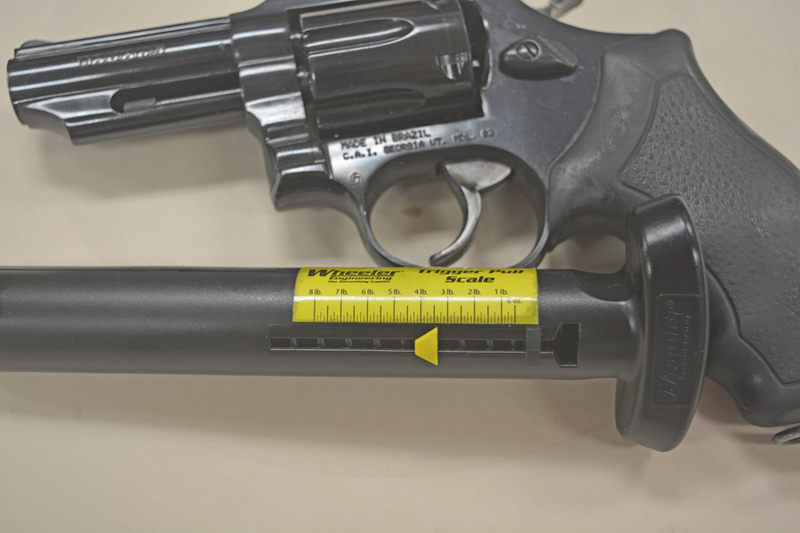 How does it compare to Smith & Wesson? 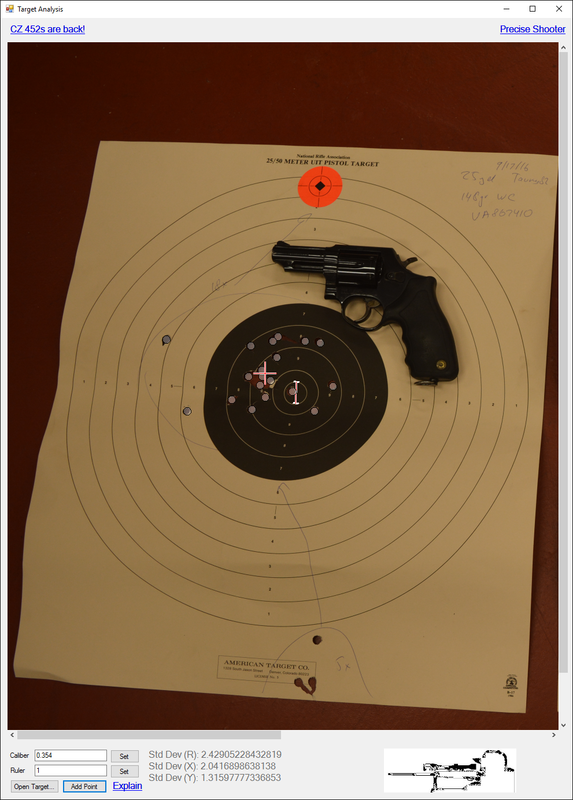 The one I shot at the same range at the same time - model 67 - was approximately 30% more accurate, and of course with adjustable sights any point of impact deviation is easily correctable. 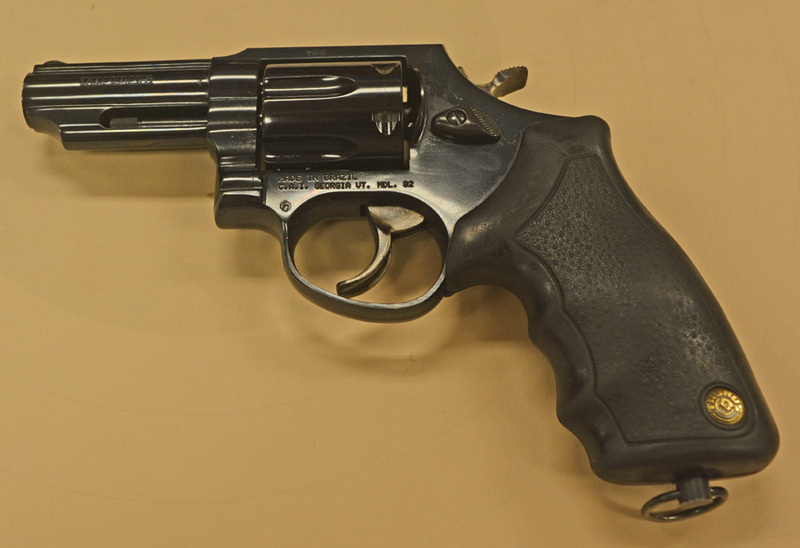 Of course as of this writing, model 67s were going for $450 to just under $700 on Gunbroker, plus shipping, transfer, and tax, whereas the Tauruses are selling for under $230 at our store, just over $250 including tax, so these guns are not in the same weight category.